A Life On--and After--the Farm: Rae at Weathervane is raving mad! My little problem seems to be fixed. Well, at least the inability to leave comments. I had to enable third party cookies. Now I'm upset again! A good friend (Rae at Weathervane) is locked out! It's blogger's fault for first thinking she was spamming, then making her change her password, now she can't even get to her google mail! Ever try getting HELP on blogger or google? Impossible. I tried going through 'help' for her. It got to where I could click on something to actually write to someone! Yea! I clicked it... It took me back to a sign-in page, then back to where I started! Now I'm as frustrated as she is! I just got another e-mail from her. They sent a new password to her... AT HER GMAIL ACCOUNT! She can't get into her gmail account! Anyway, now she has been instructed to 'halt all efforts' to log in for 24 hours and then try again. If it doesn't work then, she has to start all over. Since we have many followers in common, Rae would like me to pass along that she is locked out for now, but will be back as soon as possible. So don't think she fell off the face of the earth... She's just stuck in the twilight zone! Well I figured out how to bypass the system - at least to leave a comment. I have a new identity. I may not be able to get into my blog but at least I can read everyone else's. Yes blogger I am mad at you if you even care. I am becoming a raving lunatic from typing in circles to find a way into my blog. Thanks Lily for your help. Hope I am back soon. I love Blogville but Blogger is a pain .... I keep hearing about friends getting locked out, can't comment, can't this or can't that. The other day it took away all my followers for about an hour, some days it swears I am not following any one at all. Lily, sounds like you have yours fixed, I did remember someone else who said it was the privacy settings that affected commenting. I am going to add some of your email addresses to my Yahoo account so if I get locked out at least I can talk to someone. Please tell Rae good luck getting back on blogger. I've had some trouble with it today, too. And what a nice friend you are to help her. Hi, Rae! Thanks, Lily! Hi Rae, Since you can now maybe read comments. We miss you. Hope you're back with us soon. I hate problems like you're having because it takes so much valuable time trying to figure them out and fix them. Yes, there should be people at Blogger that you should be able to contact that could help with these problems, wouldn't you think? 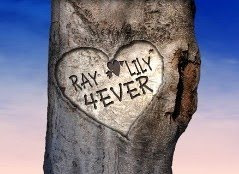 Lily i am going to leave a message on facebook,i also will leave my e-mail id,just in case i get locked out again,i can contact someone.ASK Rae to do a virus scan please. Lliy,yesterday i was locked out too. My Case seems similar to Rae's.A window popped up,it had googgle on top but who knows,it suggested a few virus scans.Now,when i tried to run one called spybot..? it said "do you agree to the terms?yes/no".It said....this is dedicated to the most wonderful girl in the world,it is a free service but we ask that you say a pray for me and my girl.WHAT???????? I shut down the laptop and did a full virus scan using McAfee,it cleaned up any virus that was there and i installed the newest version of microsoftIE 8, this too scaned for any virus lurking around and found NONE.The new browsers are effective against such attacks.All is well now. Yesterday even Twitter was attacked by a virus and locked out.It is a real worry.Hope Rae gets back soon.Do keep us posted. How frustrating! 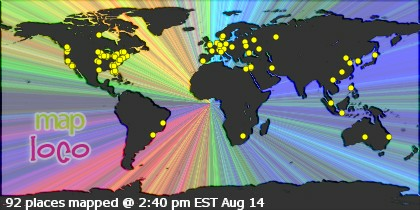 I wonder if it's all related to the twitter and facebook hackings yesterday. We miss you Rae! Hope you're back soon. My family blog is a private one on wordpress. I decided to use blogspot because it's so much simpler to use. And I got furious at wordpress for some of the things it did. Anyway, I just want to say how much I also appreciate Lily for helping Rae, and I do believe this must be a glitch in the system. Also, so many bored people just sit around and figure out ways to ruin things for others. Oh, and one more thing: (yawn) good morning! Poor Rae, that sounds like some problems I had with t-mobile, they would send password to phone only I was trying to make an internet card work and it didn't need a password. Ok, that does it, I've already made small moves to moving to my own website with the animals blog. Today I will back it up and then later see about moving it. And has anyone tried to go to your profile and check on your interests to find other bloggers? Hasn't worked for me for like a week or so. MzzLily, thanks for posting for Rae, tell her "Hi" and good luck with all of the problems! I have a hard enough time just getting around on blogger.com let alone adding problems to the whole thing! Hey I'm back. Thanks Lily and everyone for your supportive words. I found out that blogger is responsible for the problems that some of us have been having. Trying to protect us from hackers they locked up our blogs to deny access. It would really be nice if they would send us a message and eliminate some of our headaches. I hope this ends our problem but I am not holding my breath. Thanks Lily for posting this. It was so nice of you!!! That is frustrating and I am sorry for her. I am trying to catch up on blogs, I can only sit comfortably for about 10 or so minutes. I hope all is well with you. I love the picture of Sadie on Blawg. If I'm unable to visit my followers it's cos I'm locked out,seems some virus has attacked all of our pc's.charminegirl@gmail.com.Hope all is well soon....real pain.